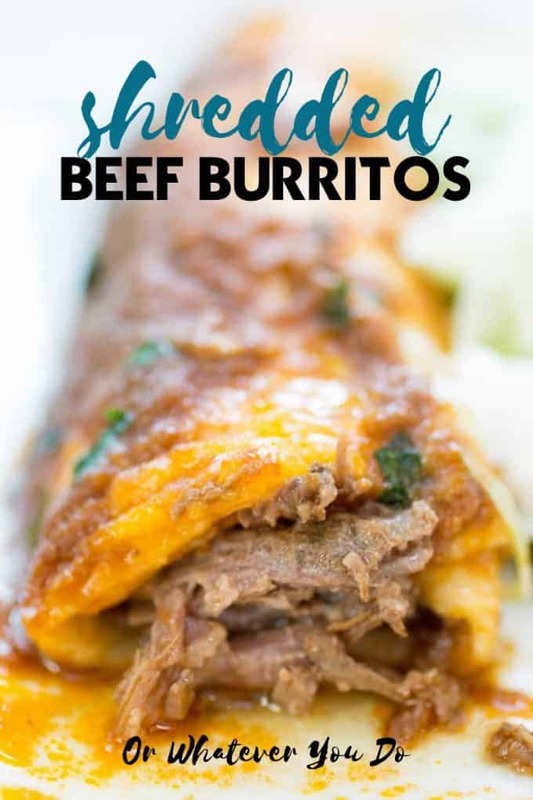 Instant Pot Beef Burritos are my new favorite Mexican-inspired meal! 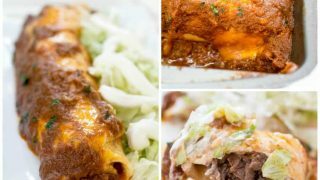 These smothered burritos are made with a chuck roast and covered in a sauce made from the beef’s cooking liquid. 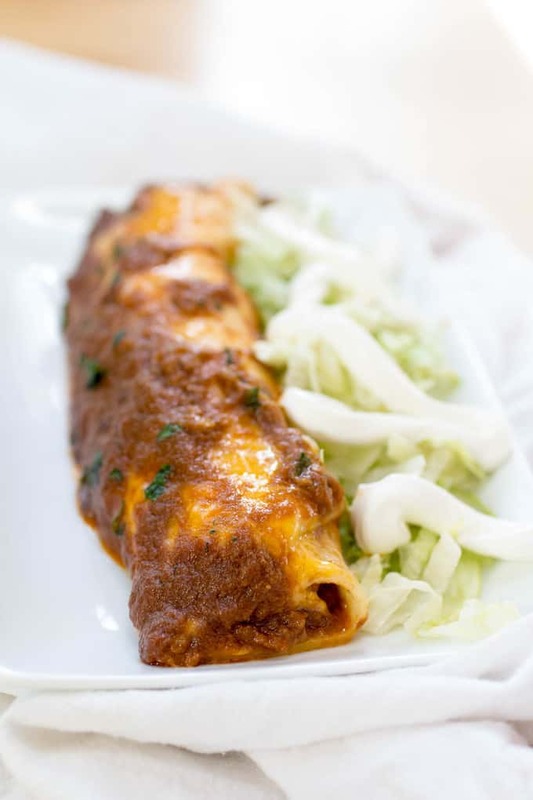 I don’t know what it is about a tortilla filled with meat and covered with cheese and sauce, but it gets me every time. 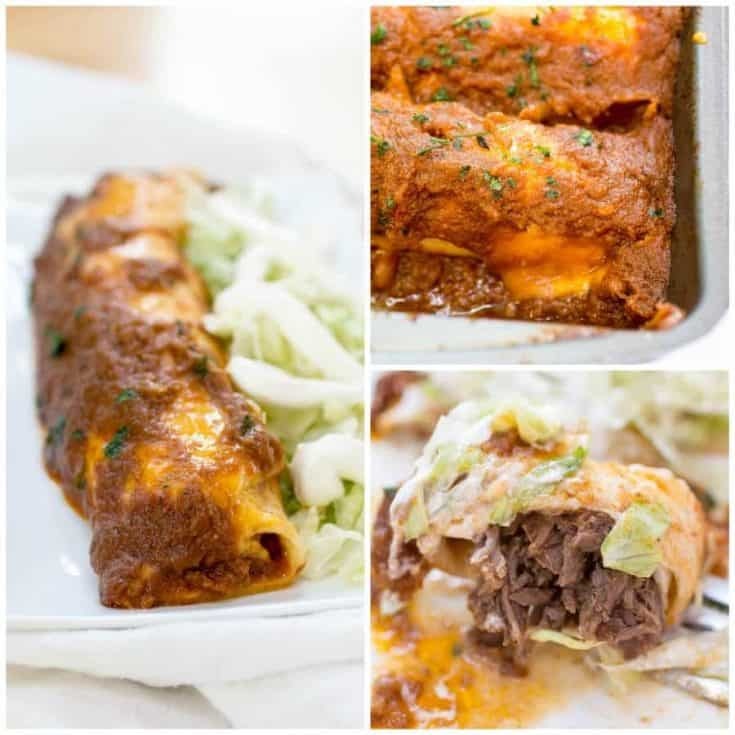 These beef burritos aren’t made with ground beef, but rather with a big delicious cut of chuck roast that cooks in the Instant Pot and creates its own sauce. Anything that cooks in its own sauce, I’m generally a fan of. Especially THIS sauce. 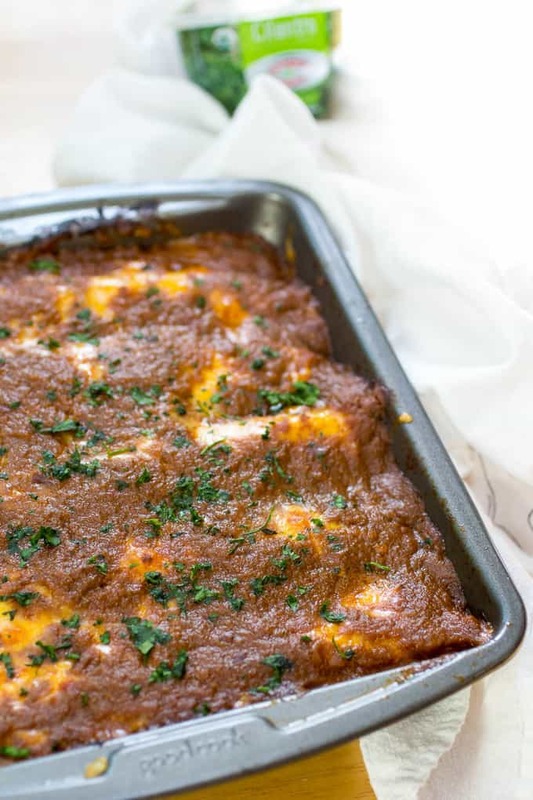 It is amazing and is the perfect sauce to smother and bake your burritos in. 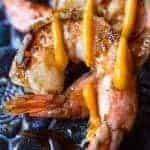 Using the Instant Pot for this is my preferred method, but you could also cook this in a Dutch Oven on the stove, or in a slow cooker as well. I haven’t tested this, so I’m not sure how long it’ll take, but I’d estimate 4-5 hours on the stovetop and 6-7 in the slow cooker. A big part of the reason I love these so much because the cooking sauce is also the smothering sauce. 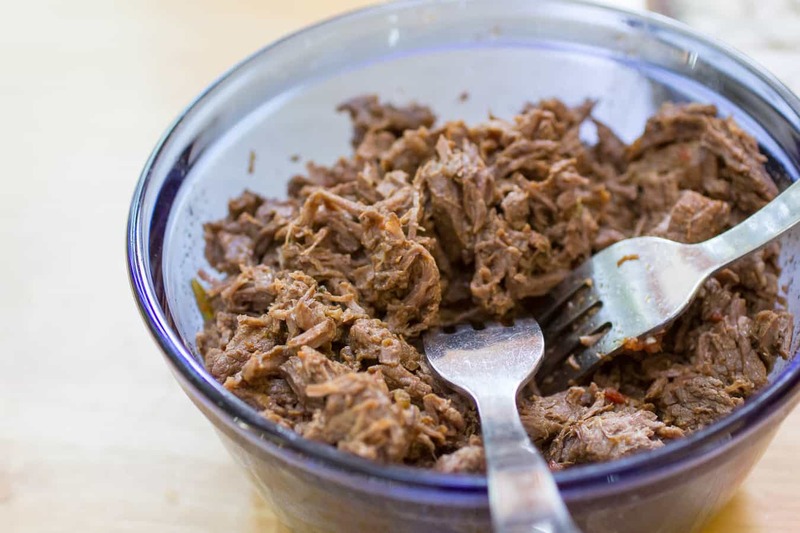 It cooks down and melds together and gets deep beefy flavor from the meat. 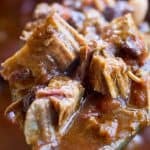 Once the meat is done cooking, you just blend up the remaining sauce and simmer it for a bit until it is reduced by about 1/4. 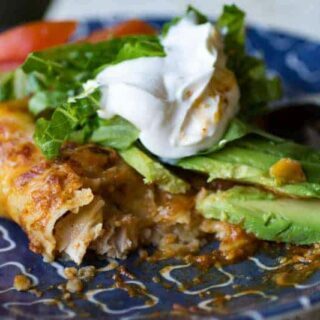 Then stuff the tortillas, top with copious amounts of cheddar cheese, and pour that sauce on over. 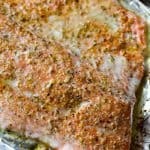 Then it is 20 – 30 minutes in the oven and you are eating! Hungry for more? 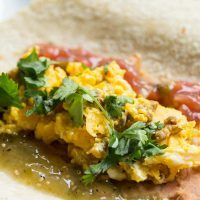 Check out some of my friends’ favorite Mexican recipes! 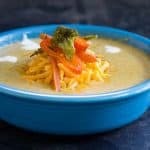 These recipes are inspired by my favorite flavors from south-of-the-boarder. 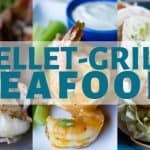 Check them out, and make Taco Tuesday interesting again! 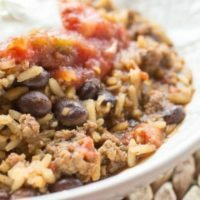 This one-pot taco rice skillet is a whole meal in a pan! 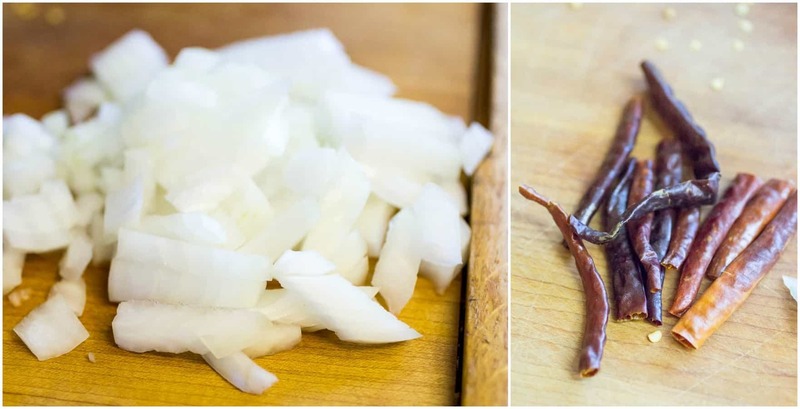 A delicious and easy homemade change-up for your family taco night. 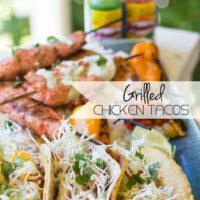 Traeger Grilled Shrimp Tacos are a quick and easy weeknight meal! Taco seasoning can sub in for Chili Margarita seasoning if you aren't on the Spiceologist train yet, but I highly recommend getting some! 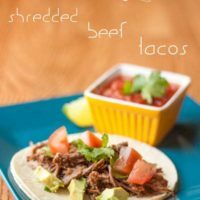 Mmmmm...easy and awesome Tequila Lime Shredded Beef Tacos for your next Fiesta! 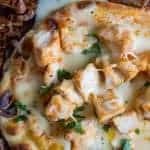 Instant Pot Salsa Verde Chicken Enchilada Casserole is a super simple green enchilada that you don’t even have to both with rolling. 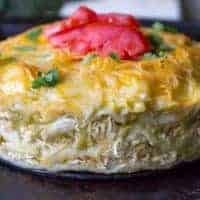 Think of it like a Mexican lasagna. 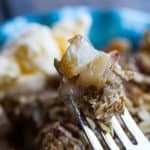 Doing the cooking in the Instant Pot makes this quick AND easy too. 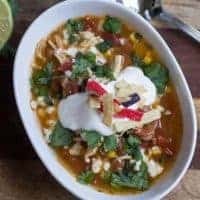 This delicious dish was inspired by my favorite Mexican restaurants, cooks in the Instant Pot, and makes its own sauce. SO delicious. 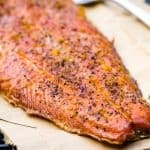 Add oil to a pan and heat until almost smoking. Place seasoned meat into hot pan and sear briefly to brown on at least two sides of the meat. Add the El Pato, stewed tomatoes, salsa, water, Gourmet Garden garlic, onion, and chile peppers. Pressure cook on high for 35 minutes, or slow cook on medium for 2-3 hours. Once the beef is fork tender, remove it from the cooking liquid and transfer liquid (carefully!) to a blender. Blend until smooth. 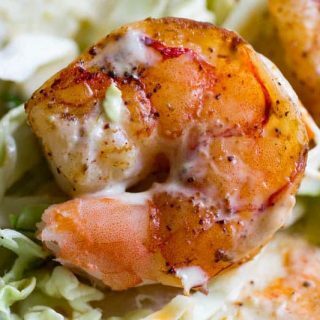 Add the cooking liquid back into your Instant Pot, or into a pot on the stove. Simmer on medium low heat until reduced by about 1/2. 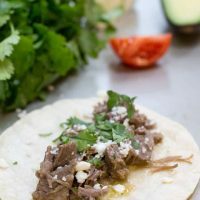 Shred the beef with a fork, and roll into flour tortillas. Place enough cooking liquid onto the bottom of a 9x13 pan to lightly cover it. 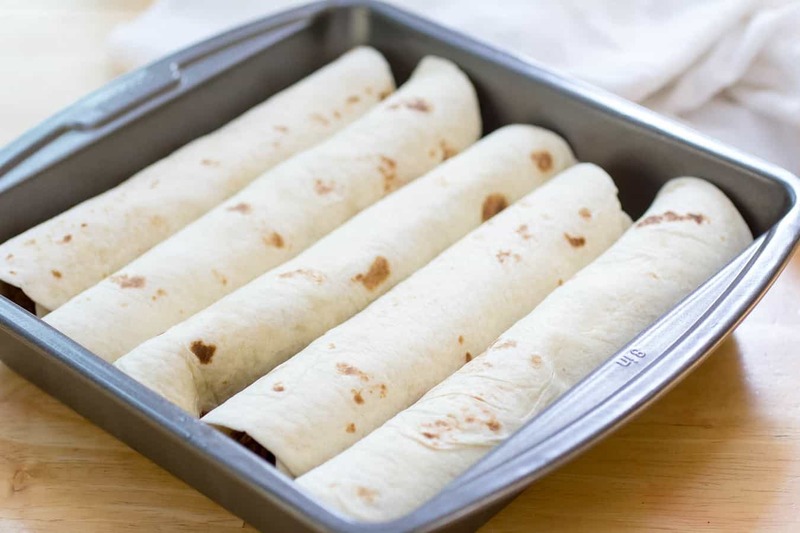 Place filled tortillas into pan, and top with cheddar cheese. Pour the sauce over the top of the cheese. You may not need it all depending on how much it reduced. Bake at 350 for 20-25 minutes, or until the cheese is melted. 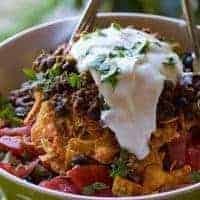 Top with Gourmet Garden Lightly Dried Cilantro, and serve with lettuce and sour cream.